Sunday, 2.10.19 - UROCK Workshop! The 2019 Monks baseball team is a group of stellar student-athletes that have bought into the system, share similar core values, and have a laser focus on what they want to accomplish this year. UROCK Talk consisted of their overall team mindset, their pre-season approach, season vision and values as players, individually & collectively. Thursday, 7.19.18 - Half Day Retreat, UROCK Workshop! Friday, 4.20.18 - Creative Mornings Keynote! 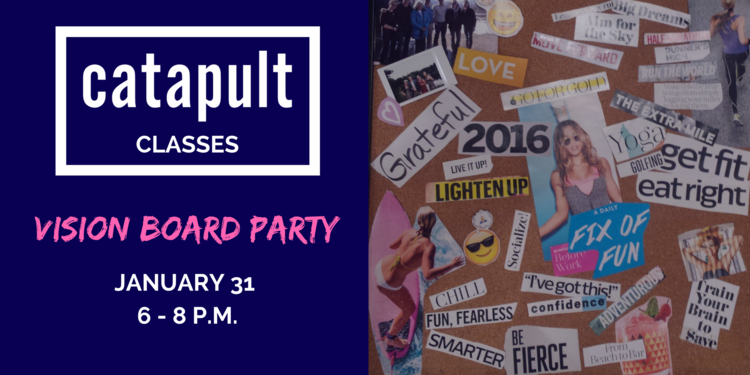 Wednesday, 1.31.18 - UROCK VISION BOARD PARTY! This workshop promises to be: Engaging, Empowering, Inspiring, & Fun! UROCK will be working with the 8 leaders that run the department's Human Resources & Finance Team. This will be 6-hours of team-building, confidence-boosting, and constantly communicating in one memorable half-day retreat! // photo: typical scene following an another amazing networking experience, taken from an iPhone. VISION BOARD private sessions for couples! This unique UROCK Experience is a special, fun, and memorable date for you and your significant other. Appropriate for ALL couples, of ALL ages and ALL stages of their relationship! Each private session begins with a 15-minute Inspirational UROCK Talk by UROCK's Chief Igniter, Nick Mirabello. You will quickly learn about the Power of Vision Boards, You and Your Vision Board partner will be set for success and enjoy the next 2.5+hours engaged in your own collective creation stations working on your vision boards, your dreams, your future! Also offered is a post-scheduled motivational personal follow up coaching call by Mirabello on achieving your goals, aspirations, and dreams you placed on your board. Follow-ups can be as early as one month and up to a year of your booked session. 4 Options: ($35 | $99 | $2,500 | Company outings w/photo & music, starts at $5K. $99 Personalized UROCK Coaching Call & Two (2) Dream Kits for You & Yours! (includes: 15-minute scheduled personal call from UROCK's Chief Igniter to set the inspirational tone for you both as you both begin your Vision Board journey + shipping of your dream kits). $5K & up. Consulting basis, company outings, team-builder, and morale boosters for your organization. The entire experience is personalized and could include professional photography and video of your Team retreat. Also offered, at the end of your session, before we capture your professional photo holding your finished vision boards proudly, we will record you stating a personal soundbite of motivation to your future-self encouraging you to achieve your dreams. Imagine seeing that during a time when life knocks you down, you feel like you're back in a rut, and then boom you bust yourself out of it and remember that UROCK! This is a unique and powerful experience you will never forget. UROCK Vision Board creations motivate you to engage with your passion, empower you to push your dreams to the forefront of your mind, and inspire you to believe your vision can become reality. Completing your own vision board will re-energize your present and put you on a focused fast track towards a future you may have only dreamed of. Create your own future!